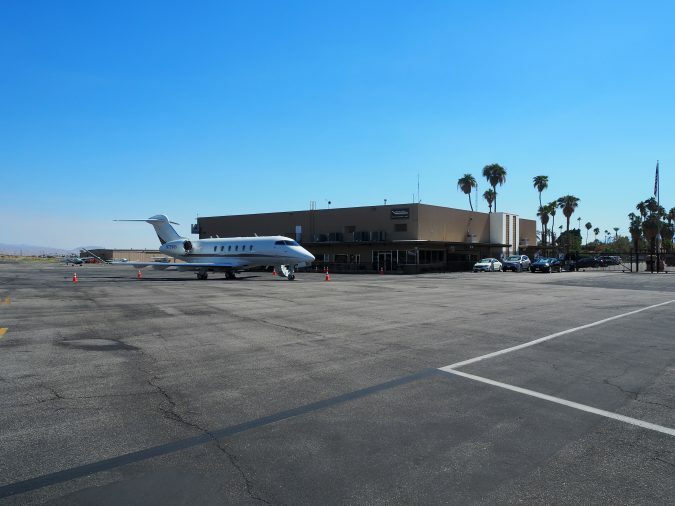 Bermuda Dunes Airport is a private airport located at 79880 Avenue 42, Bermuda Dunes, California 92203. The airport primarily serves private, corporate, and some military aviation. It is located in the unincorporated area of Riverside County, California in the census-designated place known as Bermuda Dunes, near the cities of Palm Springs, Palm Desert, Indian Wells, and Indio. 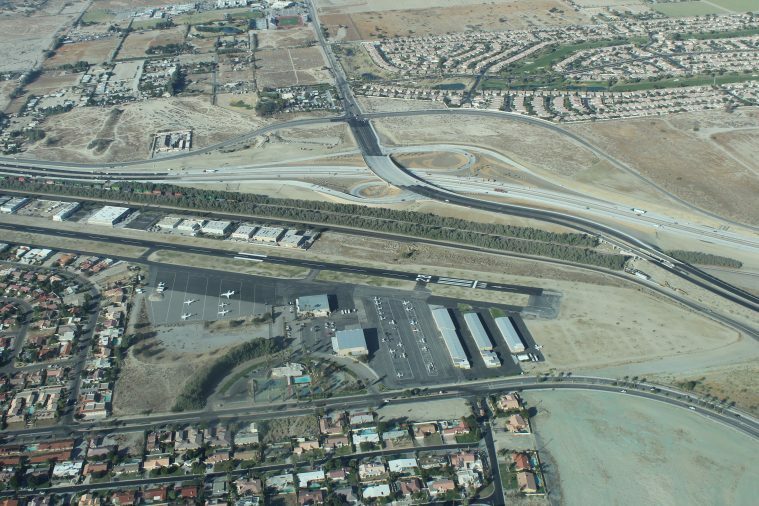 The Airport has approximately 1.4 miles of frontage along the I-10 Freeway with immediate and quick access to and from the Freeway. 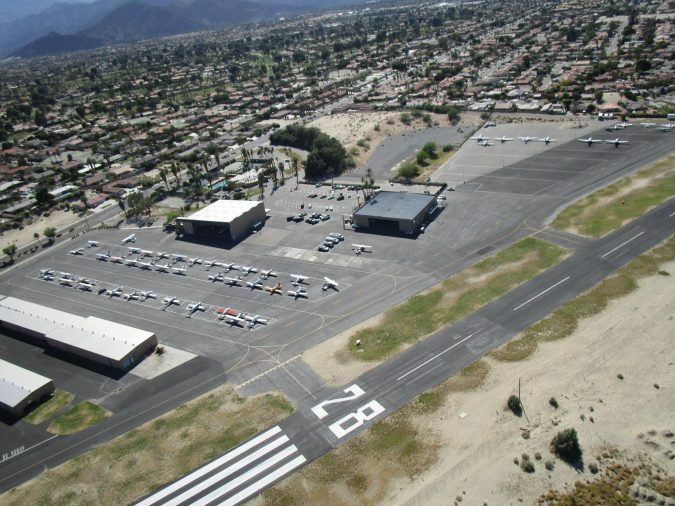 Bermuda Dunes Airport is popular with pilots and passengers because of its proximity to large sporting and music events in the greater Palm Springs area (the Bob Hope Classic now known as the Humana Challenge, the BNP Paribas Tennis tournament, the Coachella Music Festival, and two major Polo Clubs). 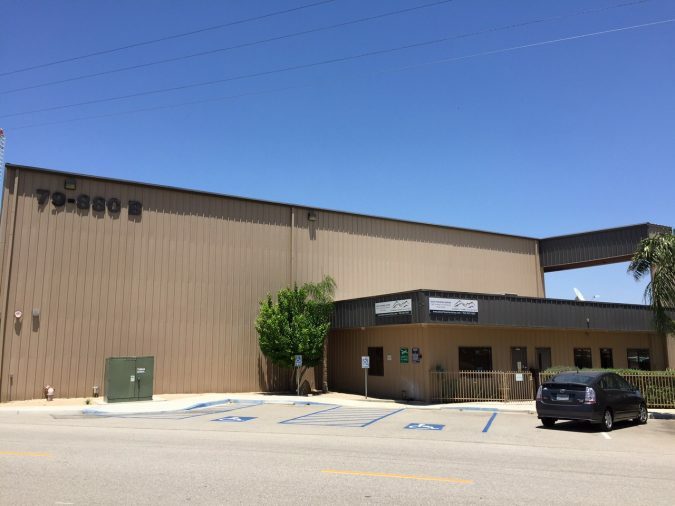 The subject property consists of approximately 115.49 acres, zoned commercial, with a special use permit from Riverside County renewing in 2027 ( 11 years). The possible early-renewal options may be advantageous to explore now to aid in the sales process. 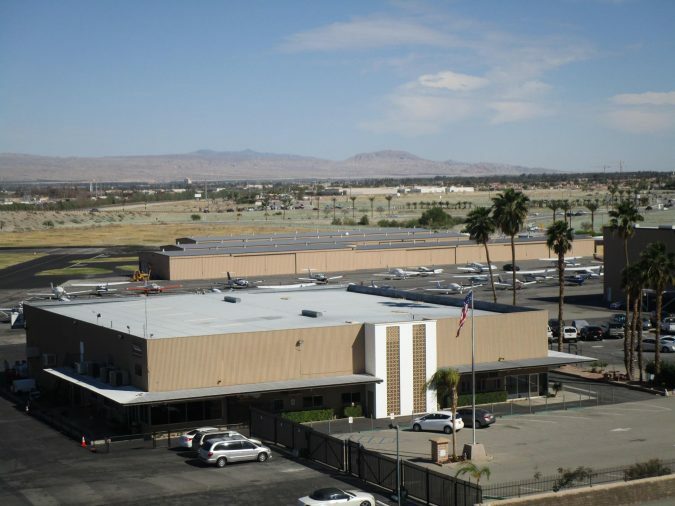 Hangar A consisting of ±15,150 SF and additionally serving as the Airport’s Terminal Building and Administrative offices. Our data indicates there are 109 based airplanes at Bermuda Dunes (long-term tenants vs. overnight or visiting aircraft). 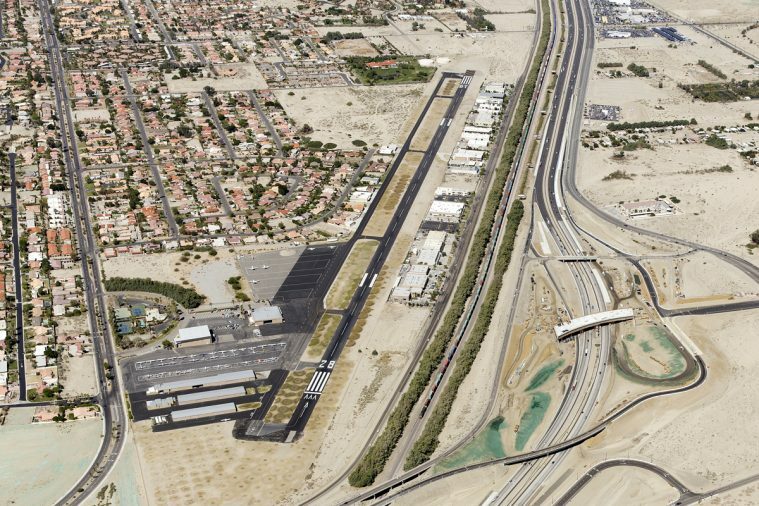 Bermuda Dunes has a larger number of permanent tenants than the competing neighboring airports. 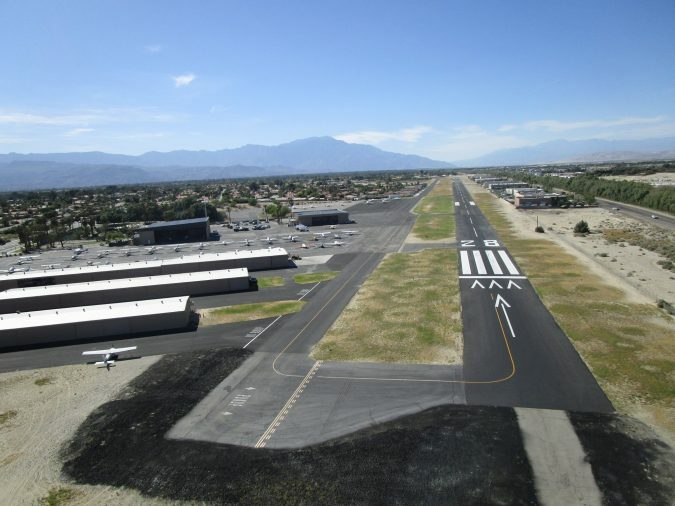 (Palm Springs: 96 permanent tenant aircraft and Jacqueline Cochran Airport with 48 long-term tenant aircraft according to the AirNav data base). 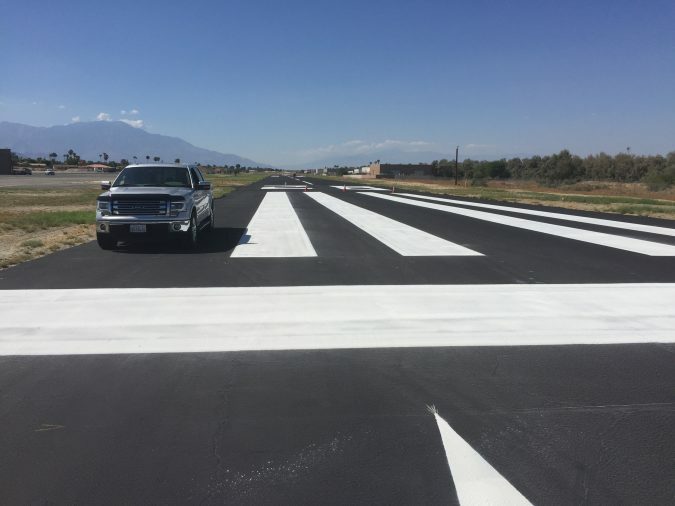 According to available data, 44% of the operations (landing and takeoffs) at Bermuda Dunes are transient arrival/departures, 33% are local flights, and 22% are air taxi flights. 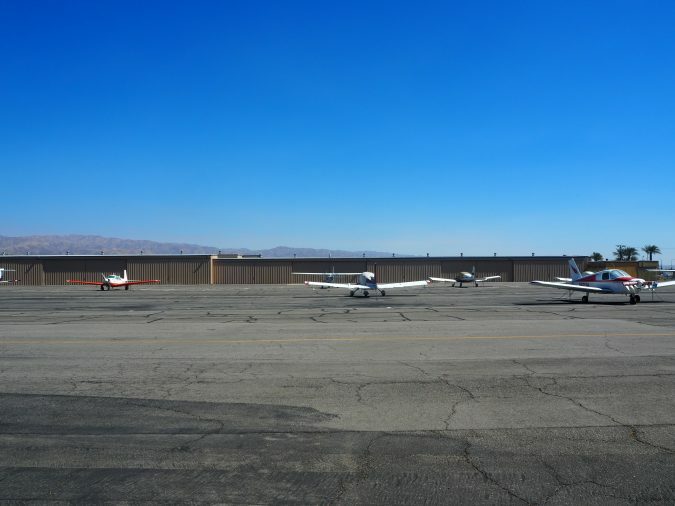 Published fuel prices at Bermuda Dunes Airport appear to be deeply discounted to the expected fuel prices at Palm Springs International Airport and Jacqueline Cochran Airport. 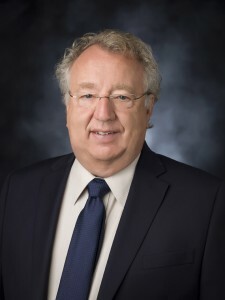 There are several amenities to augment operations, including hangars, a terminal building, and an onsite, standalone restaurant at the entrance of the Airport, as well as excess land to potentially add a hotel and for-sale residential properties adjacent to the Airport. 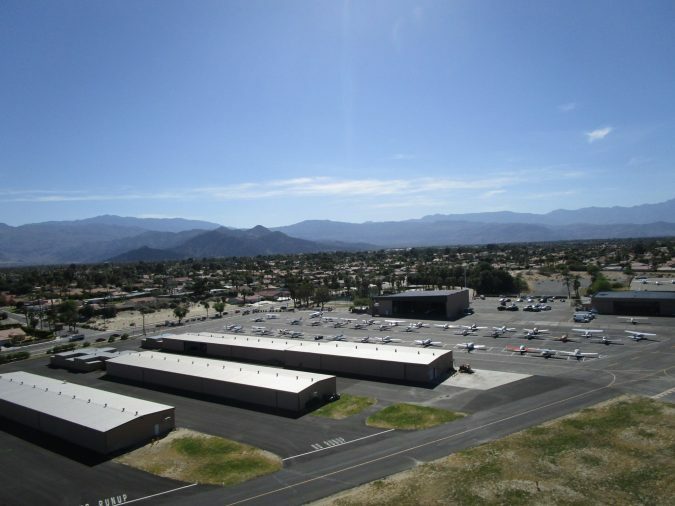 These factors and the proximity the Airport has to very large convention hotels in Palm Spring/Coachella Valley, nearby large residential developments and immediate on/off ramp to the Interstate 10 contributes to the investment attraction of Bermuda Dunes Airport. 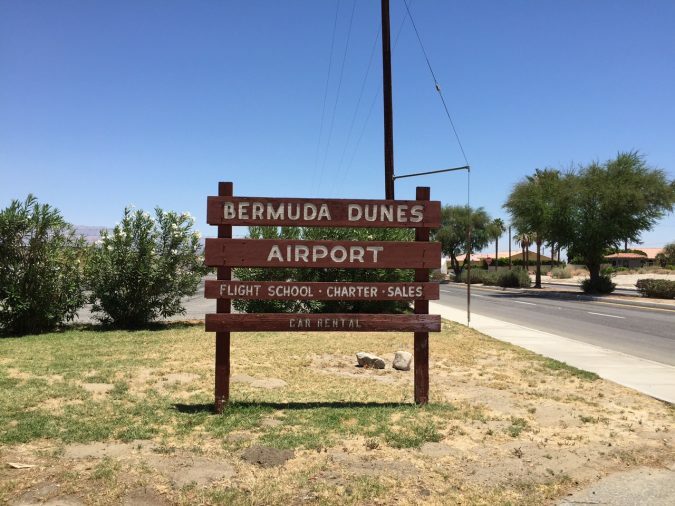 Bermuda Dunes Airport’s Proximity to largest concentration of pilots and airplanes in the world (per FAA records). Immediate I-10 Access via adjacent on/off ramps. 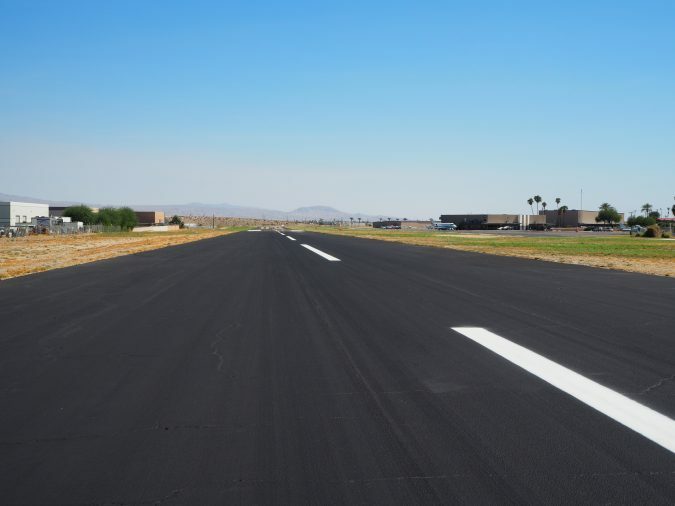 Very rare opportunity – fee simple land with an approved airport in a very desirable location. Local high end resorts, country clubs, golf courses, sporting events, upscale home developments. Upside profit opportunities for savvy airport operator. 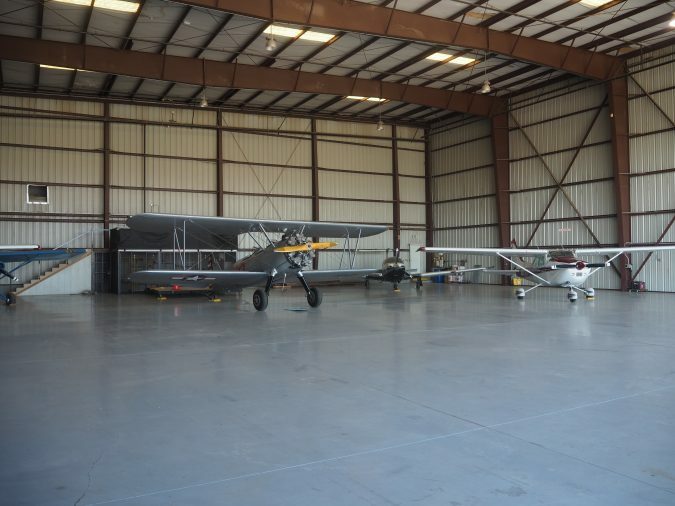 Airport development and hangar sales/leasing opportunities.